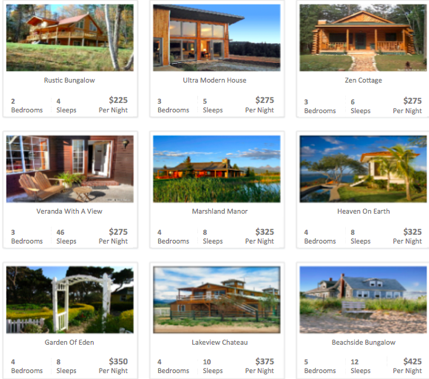 San Francisco-based Zaranga has come out of closed Beta with a new take on vacation home rentals – the ability for renters to bid on a stay. The startup has raised funding via YCombinator. Dynamic pricing has been a top feature that we haven’t seen on other sites, to our surprise and disappointment. It works well in hotel booking so people expect it in vacation home rentals. Our experience has been that we will often stay for weeks or a month at a vacation home rental so we haggle with various home owners by email. It’s pretty inefficient. Zaranga looks good. The main downside is that its coverage is limited to parts of Northern California. Also, for now the company says it is focused on houses managed by property mangers and its avoiding cities. Zaranga also recently announced that they had partnered with HomeAway.